The weight-loss industry makes more than $60 billion a year, according to research from Marketdata, Inc. Despite all the spending, Americans still struggle in the battle of the bulge. You may have heard that drinking certain types of tea, including white, oolong or green tea, helps you burn fat and boost your metabolism. While these teas contain substances that can help you burn a few extra calories, they're not as effective for long-term weight loss as some proponents claim. What's So Special About Tea? White, oolong and green tea all come from the Camellia sinensis plant. The difference between the three types of tea are how and where they are grown and their processing. White tea is made from the youngest shoots of the plant and is considered the most delicate. Leaves for green tea are allowed to wither slightly on the plant before being picked and heated. Oolong tea undergoes partial oxidation, which gives it a stronger flavor than green tea. Oxidation is a process in which water evaporates from the leaves, allowing the leaves to absorb more oxygen, affecting flavor and increasing caffeine content of the tea, according to TeaSource. The catechins and caffeine present in all three teas may help with weight loss by increasing your body's energy expenditure, according to a 2013 review study published in The American Journal of Clinical Nutrition. The caffeine content may also help stimulate fat oxidation, the review study went on to say. 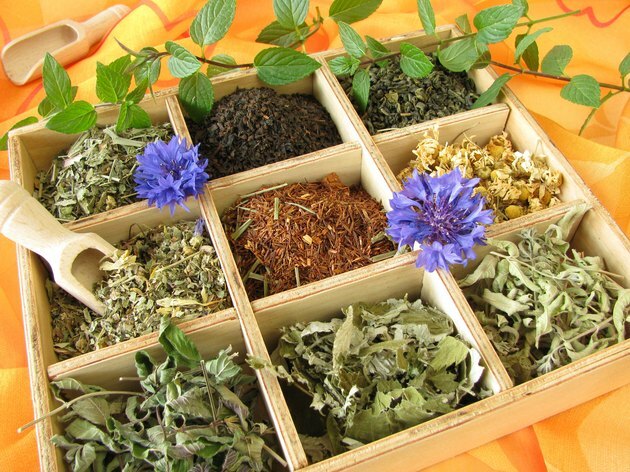 Additionally, the teas may alter gut bacteria and gene expression to help reduce fat absorption. You may need to do more than just drink tea to help lose those unwanted pounds. A 2012 review article published in The Cochrane Database of Systematic Reviews found that green tea may only help you lose a small amount of weight and may not be very effective at helping you keep it off. This review study only looked at green tea and did not include white or oolong. To lose weight, you need to burn more calories than your body needs. Drinking one of these teas may help you burn a few extra calories, but to lose the weight you need to eat fewer calories, exercise more or a combination of both. A healthy weight-loss diet should include fruits, vegetables, whole grains and lean proteins. As a calorie-free beverage, plain white, oolong or green tea makes a healthy addition to your weight-loss diet plan. Food Research and Action Center: Overweight and Obesity in the U.S.